There was a time when people thought a painter’s work was so intricate and personal, it was deemed impossible to recreate. Well, that time is over. 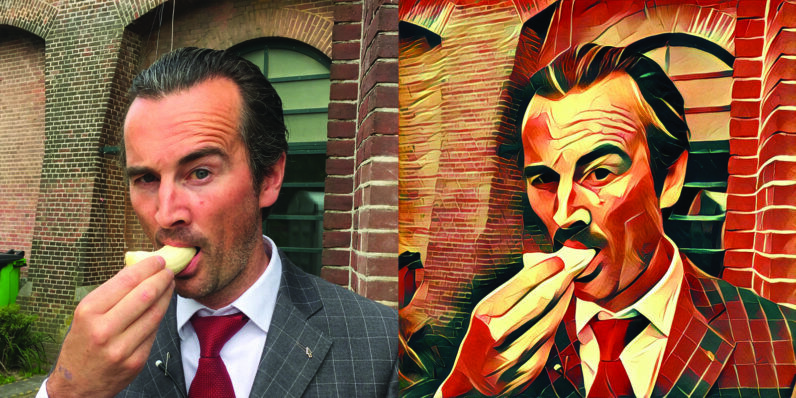 With Prisma, you now have your own, personal Picasso in your pocket. Just pick a photo from your phone, and it starts painting. For example, this is what happens if you feed the app a picture of your CEO eating a banana. This was the best picture we could find of him. Sorry, Boris. It’s extremely addictive to keep playing with the different filters, and apply them to pictures. What do you have to lose? It’s a free download from the App Store — go ahead and try it! UPDATE: Prisma reached out to us and confirmed that the app will also be available for Android later this month. Hold tight!